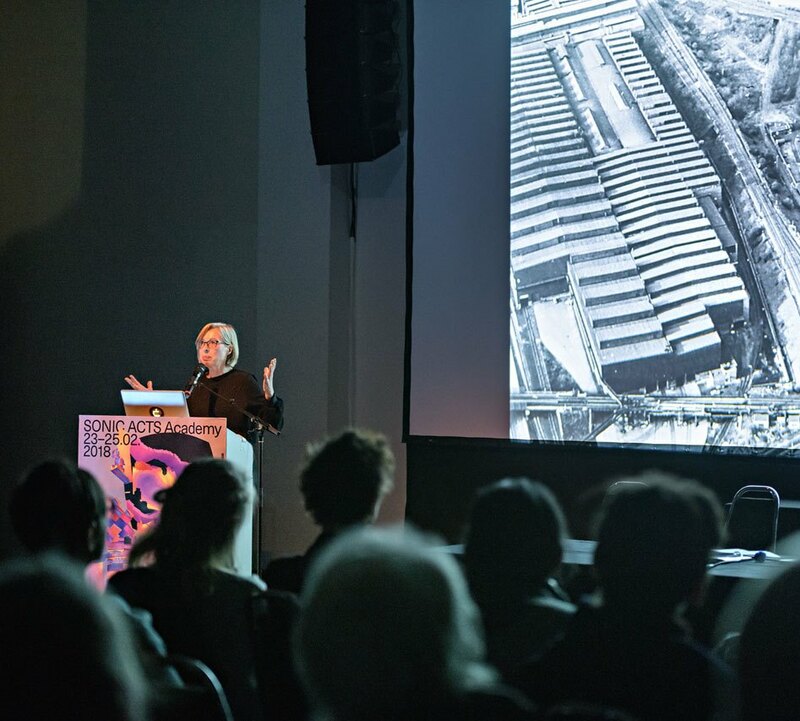 Pioneering sound installation artist Christina Kubisch leads a three-day workshop at Sonic Acts Festival 2019 – Hereafter exploring an otherwise imperceptible urban soundscape. Kubisch’s public walks use specially made headphones that receive electromagnetic signals from the environment and convert them into sound. The workshop is based on research of sound waves including electromagnetic waves, underwater sounds and radio waves, which open up remarkable views of our everyday environment. Be quick! Spaces are limited and the application deadline is 25 January. In keeping with her ongoing project Electrical Walks, pioneering sound installation artist Christina Kubisch leads a three-day workshop, from 25 to 27 February, in which participants explore an otherwise imperceptible urban soundscape. Kubisch’s public walks use specially made headphones that receive electromagnetic signals from the environment and convert them into sound, opening up a remarkable view of our everyday environment. The workshop is based on research of sound waves we cannot normally perceive with our ears, including electromagnetic waves, underwater sounds and radio waves. Another point of interest is the comparison of these hidden sounds with our real soundscapes. The Hidden City aims to explore and record these hidden signals in the city of Amsterdam and to transform and transcribe them into a work that will be discussed and eventually presented at the end of the workshop. Collective work in groups of 2 to 3 people is encouraged. The result of the research can be a choreography through the city, a composition, performance, a written project, or other. What is most important about the workshop is the experience of the participants and the discussion about it – by the use of technology we comment on technology. Enrolment The three-day workshop is open to (sound) artists and anyone with a basic knowledge of how to use recording facilities. Some special recording facilities for exploring hidden sounds will be provided, but participants are required to bring their own sound recording equipment (these can also be video recorders), good headphones and a laptop with an editing programme, such as Protools or Reaper. The number of participants is limited. To apply, please send a CV, a short biography and motivation letter outlining why you would like to attend to workshop[at]sonicacts[dot]com. Participants must attend the full workshop programme. Late or incomplete applications will not be considered. If we receive more applications than expected, a careful selection will be made based on motivation and diversity of backgrounds. More information, including a detailed schedule, will be sent to the selected participants. The deadline for applications is 1 February 2019. Fee Participants pay a €75 contribution for three days. Lunch will be provided.